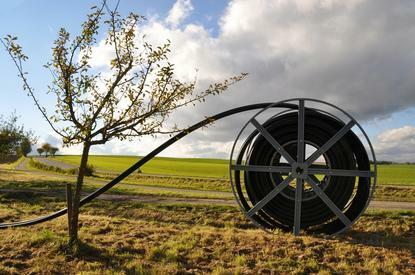 The company behind the rollout of the country’s National Broadband Network (NBN), nbn, has flagged a new milestone, as resellers of the network see new connections surge. According to nbn, retailers are signing Australians up for the nbn network at the “quickest rate ever”, with two million homes and businesses now connected, and more than 4.5 million premises able to order a retail service over the network. Network retailers are currently connecting more than 28,000 end users to services over the nbn network each week, up from 12,000 per week this time last year, the company said. “In May last year we had one million consumers and business owners connected to services over the nbn network; now less than 12 months later, we’ve activated another one million,” nbn chief, Bill Morrow, said. With two million premises now activated, nbn said it is now a quarter of the way towards its goal of connecting eight million premises to the national network by 2020. The company hailed its decision to embrace Fibre-to-the-Node (FttN) technology for its rollout – a move which has been met with some criticism – as being one of the factors that has seen it increase activation rates, with more than 670,000 premises connected to services over nbn's FttN network 18 months since launch. nbn expects to reach the halfway point of the network build around the middle of this year and within a further 12 months, it expects to be three quarters of the way towards its 2020 goal. nbn’s new milestone comes amid a flurry of criticism from certain quarters, with Chief Minister of the Australian Capital Territory (ACT), Andrew Barr, suggesting that, in its current form, the network will not meet the future needs of the territory. In a submission to the Joint Standing Committee on the National Broadband Network, Barr claimed the network’s rollout is not only slow and poorly targeted, but also attacked the government’s multi-technology mix (MTM) approach – resulting in the use of FttN technology. “The experience in the ACT shows that the current NBN rollout schedule is not best suited to meet the needs of our community,” Barr stated in his submission to the inquiry, dated 28 March. “Significant areas of North Canberra already receiving NBN quality internet on the existing TransACT network are being prioritised and provided with duplicated NBN services, while other suburbs with sub-standard internet connectivity are not yet on the NBN construction plan. “Additionally, NBN rollout in the ACT has slowed significantly since a decision in 2013 to de-prioritise Canberra due to the availability of existing internet infrastructure,” he said.